Album Review: Onionface’s “Roll over Dog… And run!” - Spotlight Ottawa	:: Spotlight Ottawa - Your local music scene. Get out and experience it! 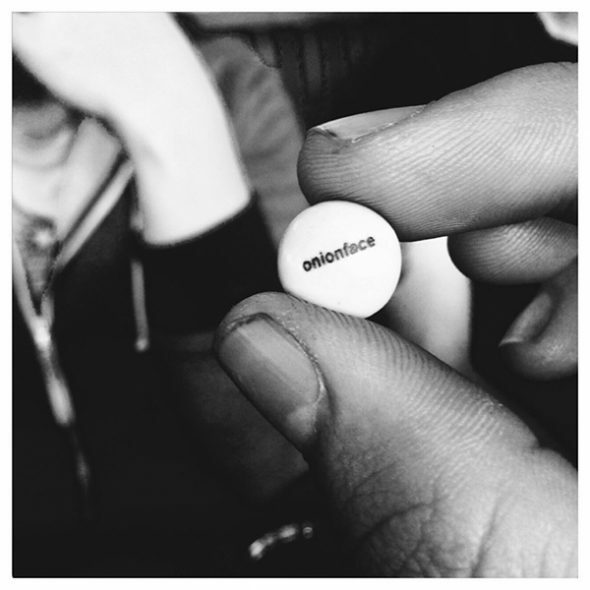 Onionface, a three-piece band from Ottawa, is a tour de force. That phrase isn’t meant to be taken lightly. Go to one of their shows. You’ll see them battling it out on stage and giving it everything they’ve got to put on an entertaining show. They keep the energy high live, and they bring that same presence onto their debut album Roll over, Dog… and Run! The band is made up of Stefan Jurewicz on guitar and vocals, Calvin McCormick on bass, and Jon Schultz on drums. Each musician has been in the Ottawa scene for some time and they’ve grown to become a staple of that scene. They’re dark, heavy, dirty, fuzzed out, bluesy, and all things grunge. They pull influences from old time blues, to punk, to 50’s rock ‘n’ roll to whip up a concoction of expertly crafted tunes designed for maximum enjoyment. To hear Onionface’s music is a true privilege to any lucky soul who happens to see them live or pick up their record. The album starts with a goodbye in Goodbye, Take Care. It opens with a head-bobbing rhythm surrounded by harmony and acoustic guitar before kicking off on its roller-coaster tempo journey. Double time, half time, heavy guitars, acoustic guitars, harmony, a bluesy solo. It’s like the history of rock n’ roll in one song. Despite the goodbye in the title, the song is more of a big warm welcome for the rest of the album. The second track, Dirty Water, offers a glimpse into the dark side of Onionface. The heavy primal song trudges through the swamps of Hell at midnight with more than enough power to deliver you a simple message: think for yourself. Between the torrential downpour of grooves, you’re met with eerie minimalist pluckings on the guitar which brings the musical tension to a point. At the end of this powerful head-banging belter, a sinister choir supports Stefan as he carries you down the River Styx to the end of the song. Golden Lips was the first single from the album released back in 2015. This song has something for everyone. Dynamically, it’s everywhere from the sweet and calm intro to the straight-ahead, passion-fueled chorus. You can almost feel the wind on your face as you soar over the mountains and through the trees in this track. The guitar solo in Golden Lips is sonically unique because of the lemon-sucking tone of the fuzz. It’s easy to tell why this was the first single. It tells you everything you need to know about the band and it’s so accessible for those not familiar with Onionface’s sound. Next is Ramblin’, a song that’s far from a ramble. Right from the first words of the song you know you’re in for a powerful gut punching ride. The band truly shows their experience as musicians by delivering such a rhythmically tight song. Cleaning up the high end of the spectrum is the organs which compliment such a heavy song. Just another hint that the album is littered with old-timey blues influences. Long Haired Bald Guy, is the midpoint in which we all take a collective breath and rest before picking up the pace all over again in this groove-filled heavyweight album. Originally written as a punk rock thrasher, the track appears as a stripped-down campfire blues song recorded over an old AM radio. The lyrics are filled with self-awareness and enough contradictions to make you want to dive for deeper meaning. Coming in as the shortest song on the album, you won’t have much time before you’re swept up in the snarling wah and grungey vibe of I’m Alright. Incidentally, the name of the album comes from a lyric in the song. Next up is Tightrope Walker where Calvin locks you in on his low-frequency grooviness. The song is a definite toe-tapper. After that is Remember When which asks the question, “Remember when we used to dance to rock ‘n’ roll?” It’s a call back to a simpler time when rock was provocative and fun. This song brings it all back with the upbeat rhythm, call-and-response chorus, and overall fun vibe. Birman, the catchiest song on the album, is also one of the oldest. Long-time fans of Onionface will recognize the song as it’s a staple at almost all their shows. The track is packed with high energy hooks where the fun never stops. My favourite track on the album, White Cactus, closes out the album. It’s a song for blasting down a lonely desert road at top speed with one hand on the wheel. It’s the essence of cool. And when you think you’ve got the song figured out, they drop a key change and kick the intensity up that much more. Jon hits you with a right-hook drum breakdown. Calvin consistently knocks you around with his roving bass lines and Stefan delivers one hell of a knockout punch. Overall, the album is fantastic. It keeps away from being boring by changing the dynamics, or the pace, or throwing in something completely unexpected like the stripped down Long Haired Bald Guy. It’s obvious, even from the first listen, that Onionface has spent countless hours touching up their music to make sure everything is thought of to give the album a well-rounded sound. I could go on and on about how great the album is, but you should check it out for yourself. Seriously, go check it out. You won’t regret it.